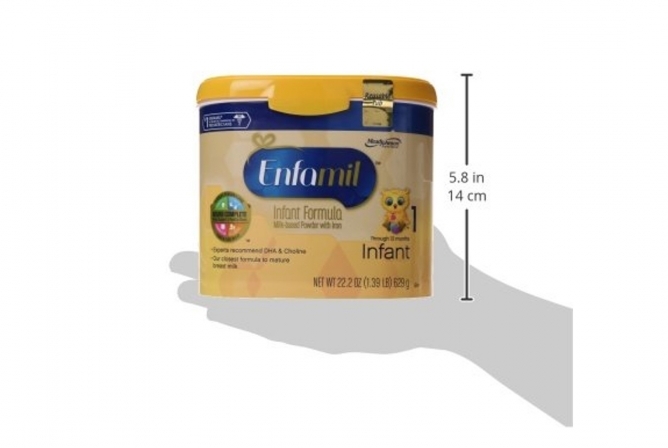 Enfamil Infant Formula is a solid formula that has ingredients very similar to breast milk. The use of lactose as a sweetener is a huge plus, something that should be the focus of every standard formula on the market. Another great aspect of this formula is the healthy whey to casein ratio. The right ratio of protein is very important for a healthy digestive system in babies. Prebiotics are also included and are found in huge amounts in breast milk. 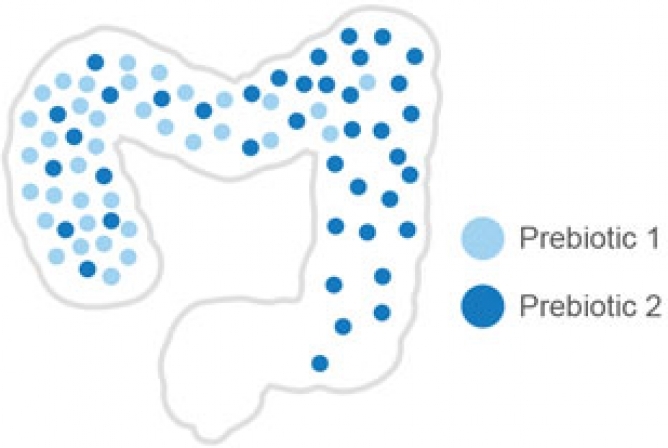 Prebiotics aid with a healthy digestive tract, which makes up almost 70% of our immune system. Buy Now Amazon - Buy Now! 1 INGREDIENTS | Similar to Breast Milk! Enfamil Infant Formula is a solid formula with ingredients very similar to breast milk. INGREDIENTS | Similar to Breast Milk! Enfamil is a big brand for producing quality baby formula in the USA. It is often used in hospitals and by parents everywhere and has a history of producing formulas with nutrients very similar to breast milk. 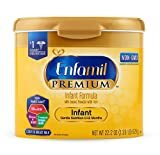 Enfamil Infant Formula is one of their top sellers and has many great features that make it an all-around solid baby formula. Enfamil Infant Formula has a whey to casein ratio that is very similar to breast milk. Another huge plus in Enfamil Infant Formula is the addition of prebiotics. There is a dual prebiotic blend in this formula that is found in breast milk. Prebiotics are different, but very similar to probiotics and promote a healthy gut and immune system. Helping your baby build and maintain a base of good bacteria in their gut is a HUGE part of their immune system and overall health for the rest of their life! There are a few downsides to Enfamil Infant Formula, as there usually are with any formula. The first low is the use of palm olein oil as an added fat. This oil has been shown to reduce the rate of calcium and fat absorption in babies, a big no-no when we want babies with healthy bones and fat levels! Also, palm olein oil has been proven to harden stools which can lead to constipation and digestive issues, also a big no-no when we want babies to have a healthy gut and immune system. The first low is the use of palm olein oil as an added fat. Enfamil Infant Formula is also not organic and does not hold the ingredients used in this formula to high organic standards. This means they can source their ingredients from plants and animals that have been treated with pesticides, herbicides, growth hormones, antibiotics or steroids. These are all ingredients we should try to steer clear from when choosing nutrition for our babies, but it’s important to weigh the pros and cons. Enfamil does have a Non-GMO option, so this is at least a step in the right direction. The other controversial thing that Enfamil uses to extract their ingredients is hexane. DHA and ARA are two types of fatty acids that are similar to the fatty acids found in breast milk that is shown to be beneficial for brain and eye development. 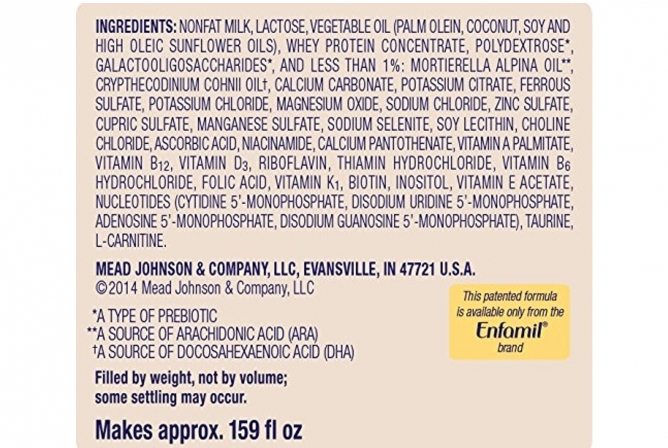 Therefore, many formula companies try to mimic this combination of fatty acids. However, the extraction method that is used to acquire these fatty acids is something that has concerned parents for some time. There is a chemical called hexane that is used in the extraction method of DHA and ARA, and it can be toxic to humans. Many say that the trace amount of hexane in formulas are way too small to ever harm a baby. Still, it’s important to be vigilant about what is being used in our food today, especially for little ones who are more sensitive to such things. Parents say that Enfamil Infant Formula does have a slightly unpleasant taste and smell to it. There are a few picky babies that won’t take this formula, but every baby is unique including their taste buds and digestive system. A handful of parents have stated that this formula also can cause a little more gassiness and digestive upset. This could be linked to the palm olein oil, as it is shown to cause digestive upset and constipation. One positive note is that parents say this formula mixes well with no clumps or frothiness. The ingredients in Enfamil Infant Formula will help babies tolerate this formula a little better than others on the market. This formula was created to be similar to breast milk in its nutrition profile with healthy levels of protein, vitamins, and minerals. Like other formulas we’ve reviewed, Enfamil Infant contains prebiotics which helps support a healthy digestive and immune system. Enfamil Infant contains prebiotics which helps support a healthy digestive and immune system. Using lactose as a sweetener is a huge plus, as this is the primary and most abundant sugar found in breast milk. Other common sweeteners like brown rice syrup, maltodextrin, corn syrups (or cleverly disguised as “glucose syrup solids), and sucrose can be tough on a baby’s little stomach. They are used more commonly because lactose is more expensive for companies to put into formulas. The only other place you should find these sweeteners is in formulas made for babies who don’t tolerate lactose. There are always a handful of babies who have a hard time with certain types of formulas, and some babies have had issues with constipation and tummy upset using this formula (most likely due to the palm oil). However, the majority of babes drinking Enfamil Infant Formula tolerate it well. This Enfamil tub comes in a standard tub size of 22.2, but also comes in other sizes. This particular tub is refillable, as Enfamil sells packs of formula in bulk, which creates less waste. 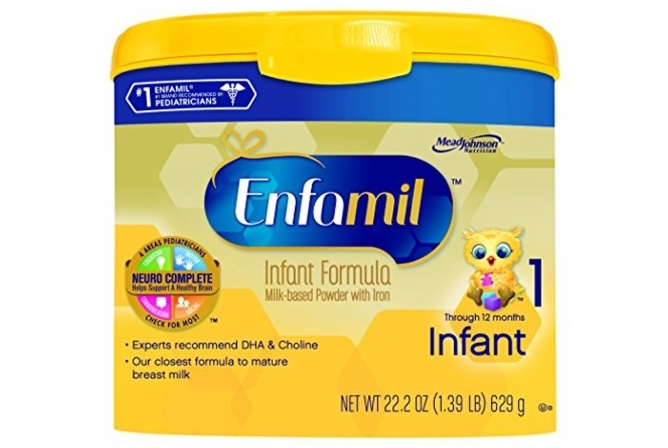 Enfamil Infant Formula is best for babies 0-12 months of age and is also part of Enfamil Staged Nutrition which means that Enfamil puts out different stages of baby formula based on the age of your baby. 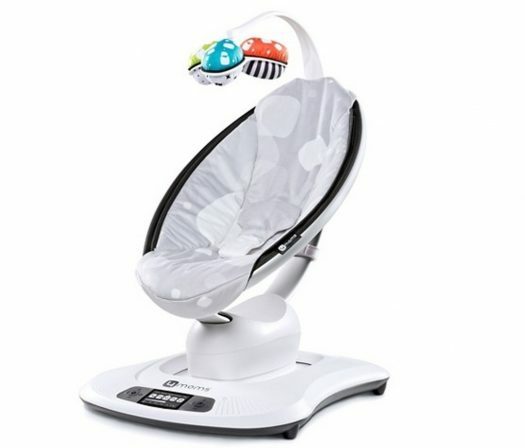 This is designed to more naturally mimic the different stages of breast milk, as breast milk is always changing to suit the unique nutritional needs of a growing baby. Part of the Enfamil Staged Nutrition is Enfamil Newborn 0-3 months) and Enfamil Toddler (over 12 months)Formulas. Enfamil puts out different stages of baby formula based on the age of your baby. When looking at the full MSRP for Enfamil Infant Formula at $27.99, the price per ounce comes to around $1.26/oz. This is a great price considering that the inclusion of prebiotics, a healthy whey to casein ratio, and also lactose, all of which can be expensive to add. Enfamil’s price is one of the best when comparing other good quality formulas we’ve reviewed. However, keep in mind that price isn’t everything when looking to fit your baby’s unique nutritional needs! Although there are a few downsides, like the use of hexane, non-organic ingredients, and palm olein oil, there are a good number of positive aspects that make Enfamil Infant Formula a great choice for many families. 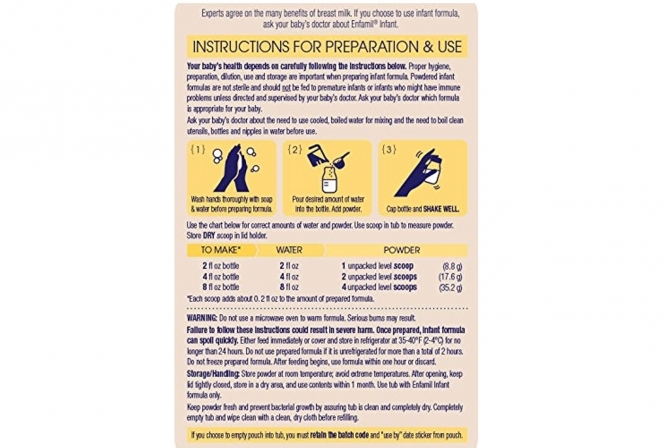 This is a trusted company in the USA, and they continue to work towards creating healthier formulas that grow closer and closer to the structure of breast milk.